Blade length : 63.3 cm or 24.92 inches. Shape : Wide and thick blade. Hamon : From Hamachi is Suguha and then Gunome Midare. There are many Ashi, Sunagashi and Kinsuji. a student of the 3rd generation Yasutsugu. 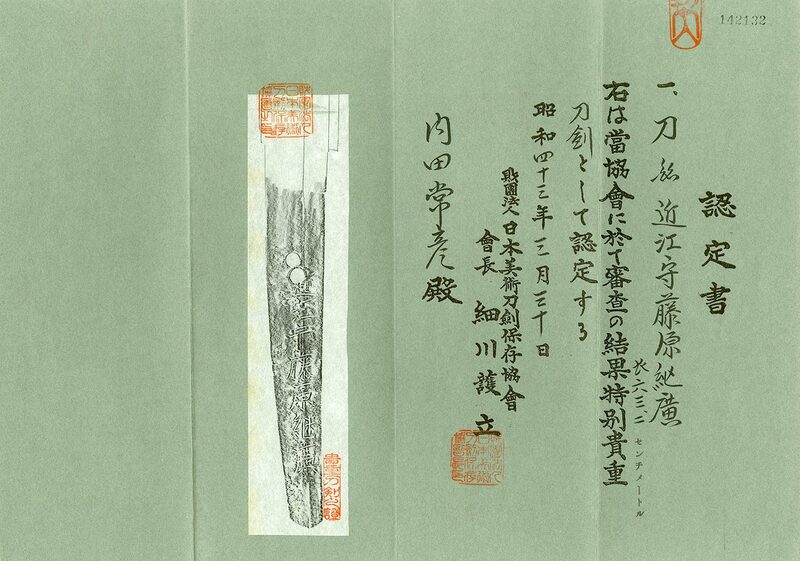 He made swords at Echizen province and sometimes he made at Edo. He succeeded his master Yasutsugu noter and suguha hamon. He is good at Suguha hamon. 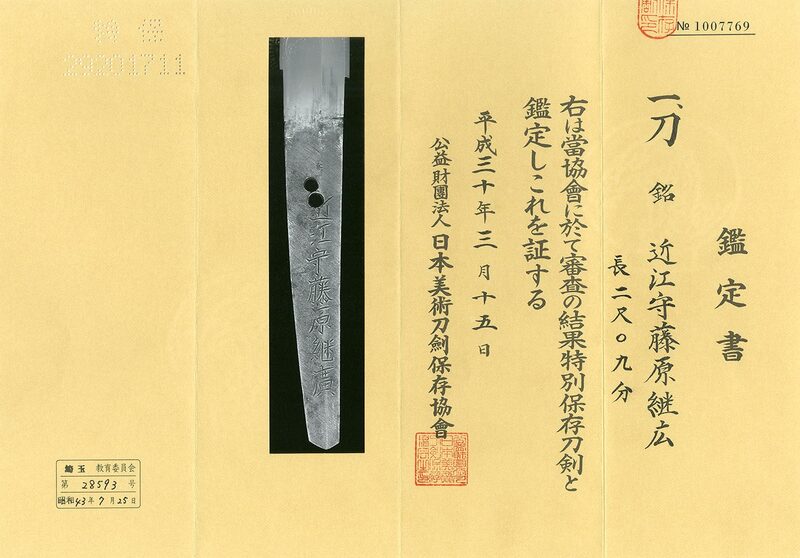 This blade is suguha with soft Habuchi ash work. Saya : Black color Saya with Kizami. Tsuba : Round shape iron Tsuba with open work. Menuki : Boat and Samurai are engraved with gold color. Battle scene is engraved with gold color. From Aoi Art: Oumi Kami Fujiwara Tsuguhiro is not so famous sword maker. But he was active as the pupil of a Yasutsugu 3rd generation. This blade has brilliant Hamon. The Koshirae is also good.